From his restaurants in Washington, D.C. to Los Angeles to South Beach, you might know José Andrés, Chef/Owner, ThinkFoodGroup and minibar by José Andrés, and Founder, World Central Kitchen, for many reasons. Andrés has made tapas, or “small plates,” surge in popularity across the U.S. Perhaps you’ve admired his work with LA Kitchen, a social enterprise that procures healthful local food that would otherwise be wasted, and instead ensures that food nourishes, empowers and engages Southern California communities. And of course, you may be aware that Andres occasionally gets under the current U.S. president’s skin. And it is for Andrés’s actions over the past year that this October, at 3BL Forum: Brands Taking Stands – The Long View, we’re recognizing Andrés for his tireless disaster relief work, especially for what he accomplished in the wake of last year’s Hurricane Maria and its widespread destruction in Puerto Rico. 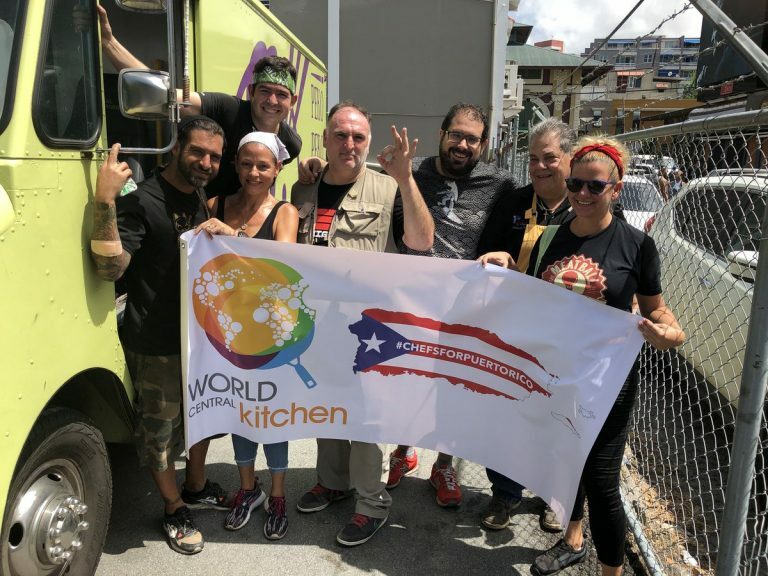 His non-profit World Central Kitchen has earned even more respect and affection for how his team to date has served over 3.6 million meals to people across Puerto Rico. In September 2017, Andrés and his World Central Kitchen team landed in Puerto Rico just a few days after Hurricane Maria decimated the commonwealth’s power grid, washed out local infrastructure and destroyed much of its agriculture. Andrés started the operation with credit cards and the $10,000 he had in his pockets. 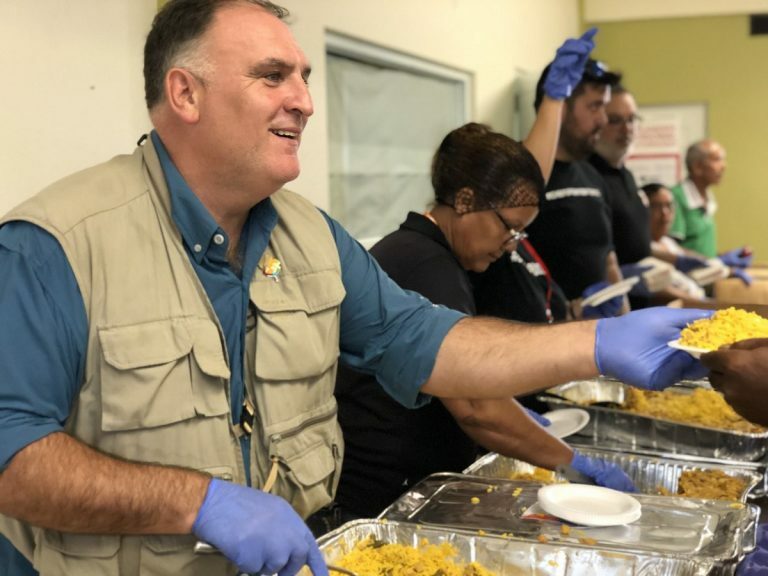 Within days, he was overseeing an operation that enlisted food trucks, culinary schools, large restaurant distributors, and some very well-known U.S. nonprofits in what turned out to be a $400,000-a-day relief effort. Andrés’s relentless work in making sure citizens under duress could at least have one hot meal a day received copious media attention. “Mr. Andrés’s effort, by all accounts [was] the largest emergency feeding program ever set up by a group of chefs . . . . But it illustrates in dramatic fashion the rise of chefs as valuable players in a realm traditionally left to more-established aid organizations,” wrote the New York Times. “Nurturing,” is how Times reporter Kim Severson summed up the efforts of Andrés and World Central Kitchen. Andrés, long noted for his unfiltered presence on Twitter, also found success for this undertaking by unleashing the power of social media as a force for good. His work with World Central Kitchen showed how online conversations can inspire citizens to action, as #ChefsForPuertoRico ended up doing far more than just trending on Twitter. The campaign motivated people to donate online and by snail mail, assisting Andrés and his crew feed Puerto Ricans from all walks of life, including veterans, the elderly and residents often caught waiting 12 hours in line for gasoline. The relentless, can-do attitude of Andrés and how he applies it to humanitarian relief continues across the Western Hemisphere. After Volcán de Fuego erupted in Guatemala this summer, #ChefsForGuatemala witnessed Andrés and a dozen volunteers prepare 6,000 meals a day for citizens affected by the volcano’s eruption. World Central Kitchen keeps running at full strength in order keep up with other disasters here in the U.S. Volunteers went to Hawaii to serve meals during the Kilauea volcano eruption. And after this summer's California wildfires consumed over 550,000 acres in the Golden State, World Central Kitchen served over 50,000 meals to citizens who were forced to move to evacuation shelters as well as first responders. It is this can-do spirit that is among many reasons why we at 3BL Forum: Brands Taking Stands are proud to name José Andrés as The ‘Brands Taking Stands’ Humanitarian of the Year. The award will be given to Andrés at the CEO Awards and Recognition dinner the evening of October 24 at MGM National Harbor, just outside Washington, D.C. – where Andrés opened his first restaurant, Jaleo, a quarter-century ago. Join us at 3BL Forum: Brands Taking Stands – The Long View, just outside Washington, D.C. on October 23-25, 2018. Over three fast-paced and dynamic days, the conference will showcase corporate voices on bridging the divide between investor relations and corporate responsibility, the “why” and “how” behind corporate decision-making on corporate responsibility, sustainability and when to take a stand. Receive a 15% discount using this code JOSE2018VIP when you register here. We’ll also donate 10% of the registration fees to World Central Kitchen – which currently is responding to the earthquakes in Indonesia.